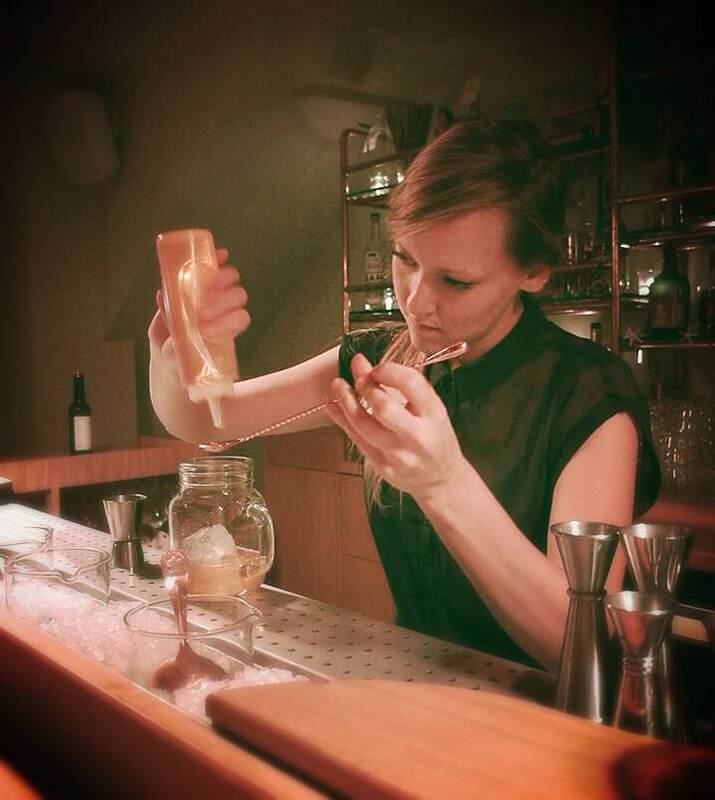 I’m Amanda Boucher, I work in Pas de Loup as a bartender. I love what I do. I started working in cocktail bars as a waitress, and have been a bartender for the last five years. I am a creative person and loved the passion and the craft the bartenders had. I wanted to do it and as soon I got behind the bar and made my own creation I fell in love. It’s all about the ambiance, walking into a bar and feeling like I am at home. I can come with 15 friends or by myself and the experience is the same. Basically that’s it. I don’t have a favourite spirit to work with. I like the fact I can have a favourite spirit for three months and then I move to another. My one fall back spirit is whisky or bourbon, it’s my roots, I am American. A good cocktail is balanced, for me that’s it. The product I am really enjoying working with at the moment are the roots. And the product I have been playing around with the most is Rakomelo. It is a grape pomace base with cinnamon, cloves and sweetened with honey. It’s very festive for winter and reminds me of mulled wine. I ‘ve been playing with it a lot and I really enjoy it. Chris Edwards at Hidden Bar ibiza. It’s on the beach complete with killer atmosphere, mini golf and the best banana daiquiri I have ever had. In Paris, Joseph Akhavan is opening Mabel bar and I am really interested to see what he will do.